website http://www.bayarearadio.org/ preserved this one. Lon Simmons not only announced the first-ever San Francisco Giants game, he did it with a legendary voice at his side. Russ Hodges is remembered for shouting “The Giants Win The Pennant!” after Bobby Thomson’s 1951 miracle home run. It seems we should be remembering Mr. Hodges for a whole lot more. 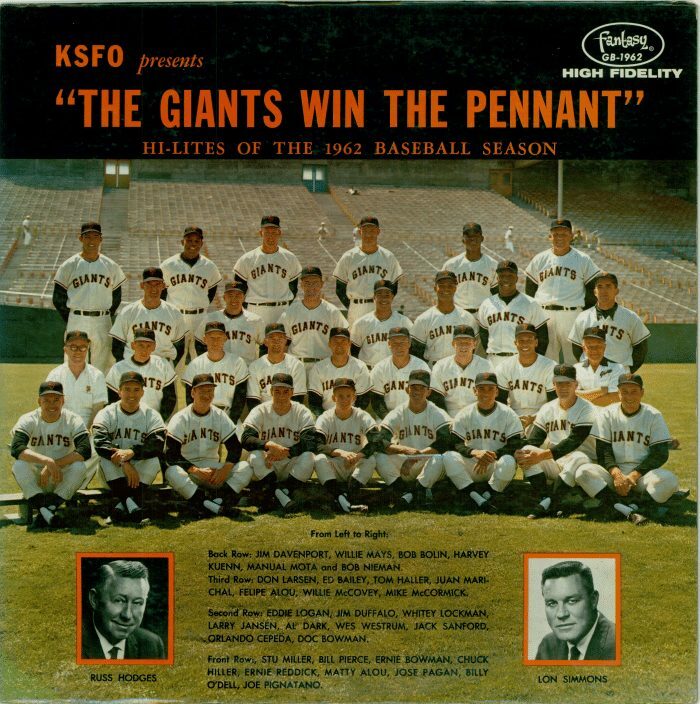 “I was blessed to work with Russ Hodges on the Giants broadcasts from the start in 1958 until he passed in 1972. He was a great broadcaster and a wonderful friend. Destiny was very special to bring him and major league baseball into my life. 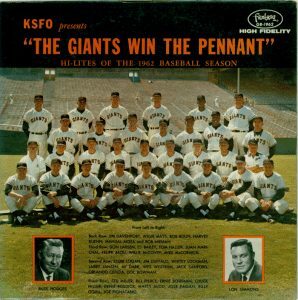 A true story of generosity by a fellow announcer came on my birthday in 1960, when Russ gave me the chance to finish the broadcast as Juan Marichal flirted with a no-hitter in his first major league start. Unfortunately, Clay Dalrymple got a pinch-hit single for the only hit. Coming Monday: Lon Simmons shatters a Wikipedia myth.